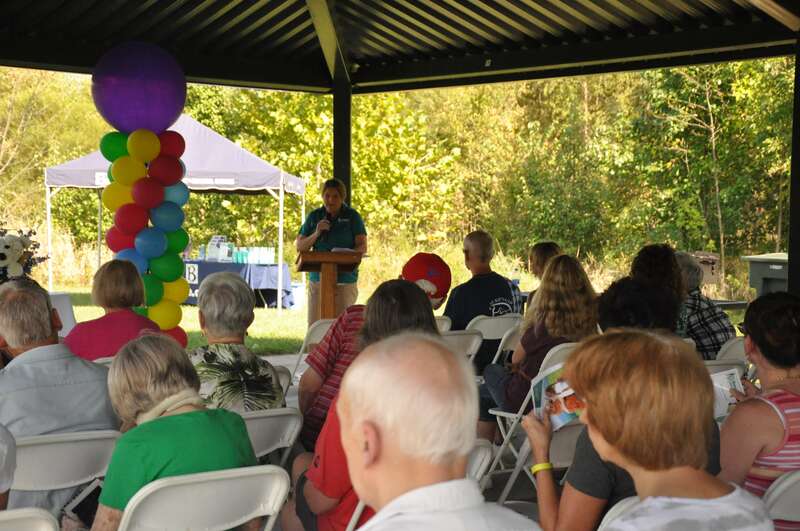 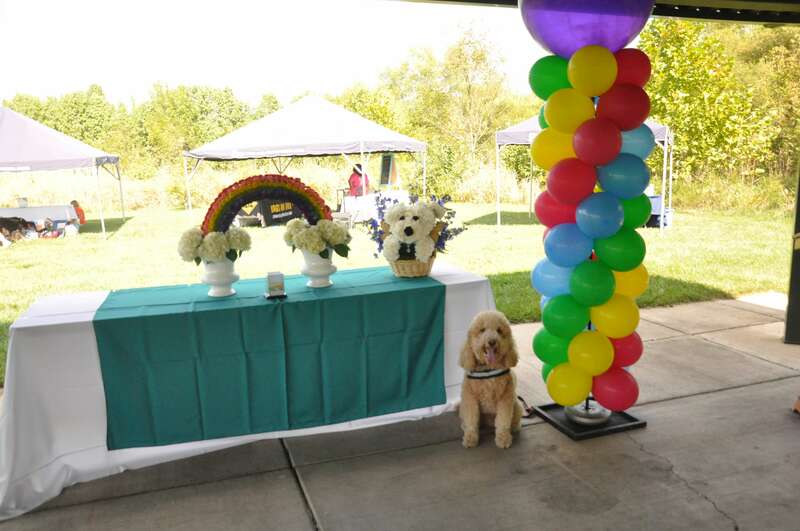 On Sunday, September 16th Baue Pet Services held their 8th Annual Paws to Remember Remembrance Program at Legacy Park in Cottleville, Missouri. 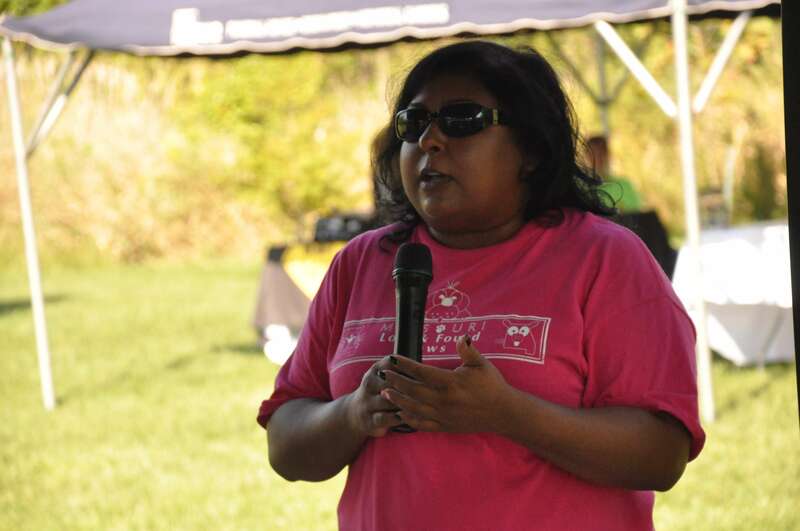 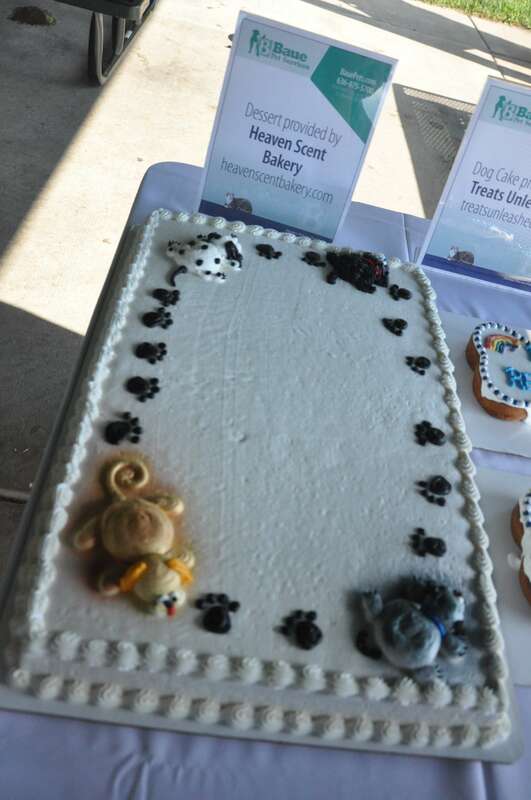 It was a beautiful sunny day to gather with the community and remember our furry friends who are no longer with us. 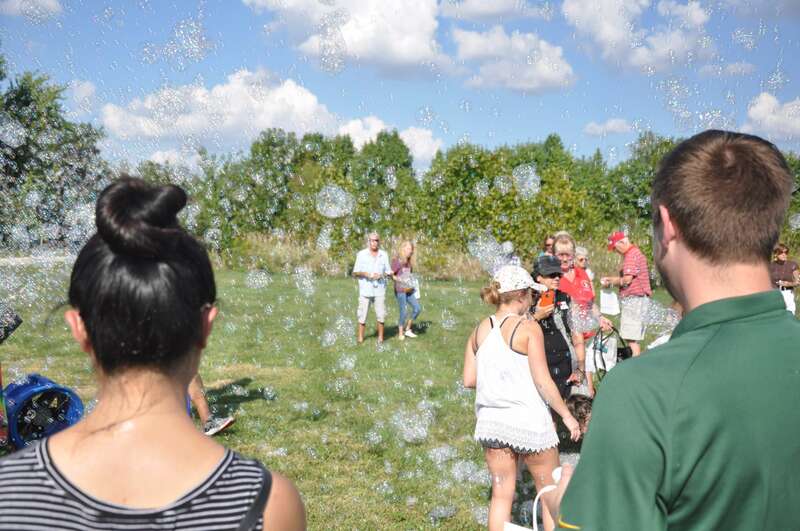 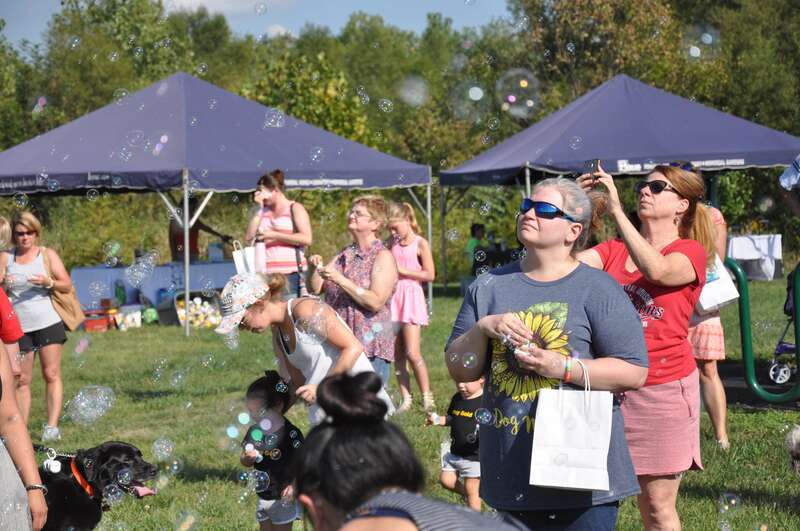 The program included a reading of pet names, a talk on grief and healing from Kelly Karavousanos, LPC, CT, and a beautiful bubble release. 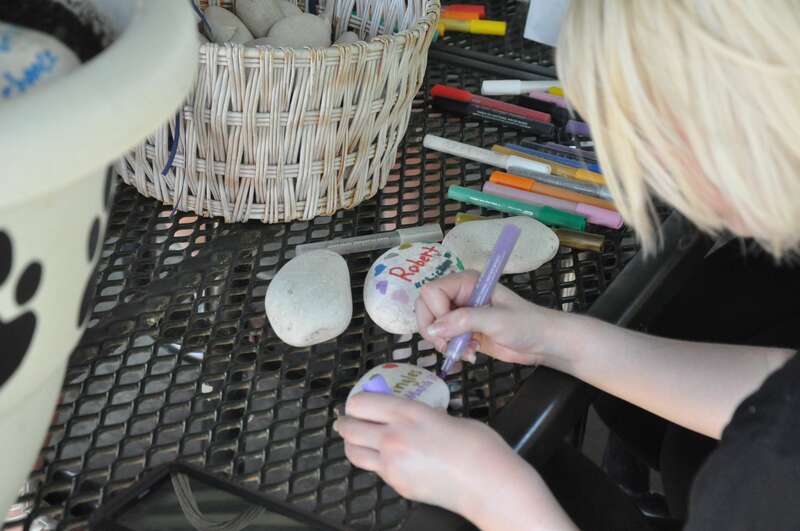 Following the program, families were encouraged to write messages to their beloved pets on river rocks to be displayed at Baue Pet Services throughout the year. 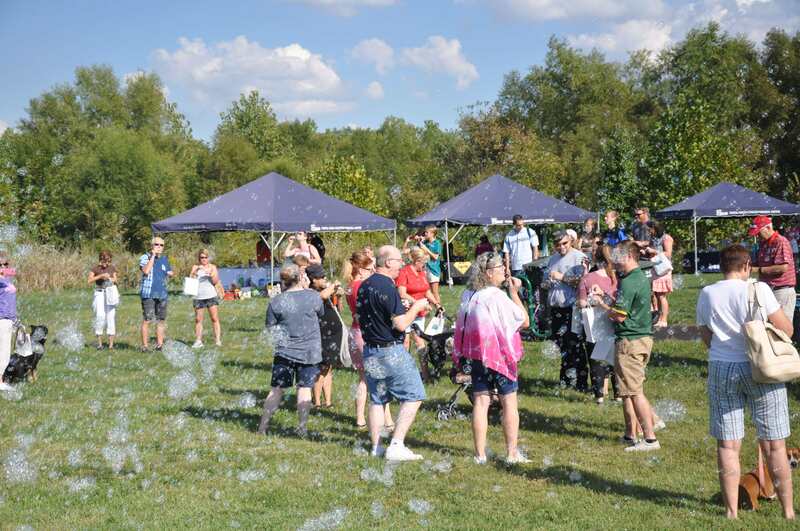 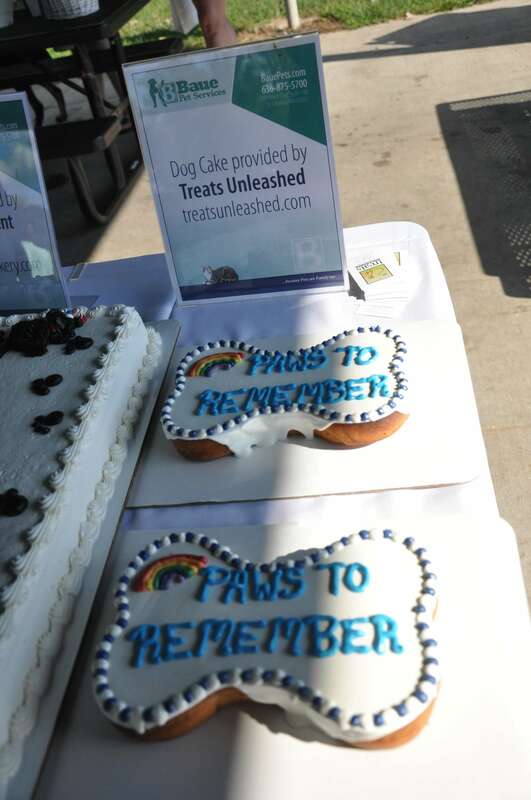 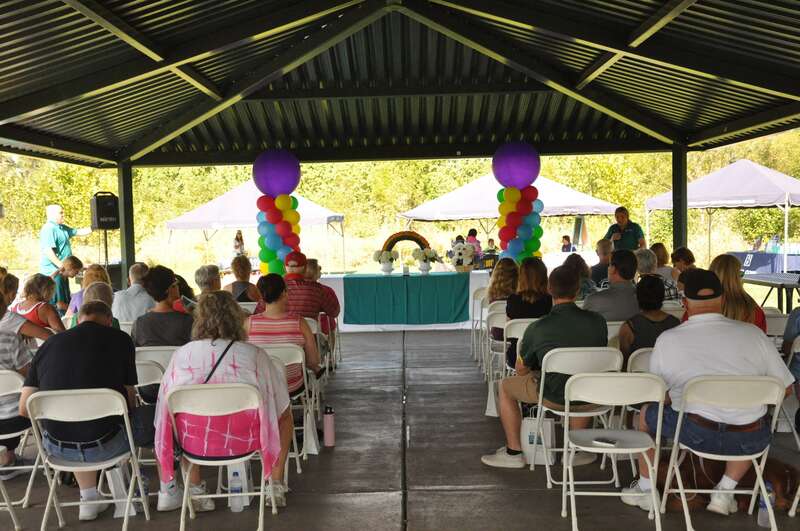 There was also a complimentary barbecue, snow cones provided by Shorty’s Shack, cake donated by Heaven Scent Bakery, and pet-friendly cake donated by Treats Unleashed – O’Fallon. 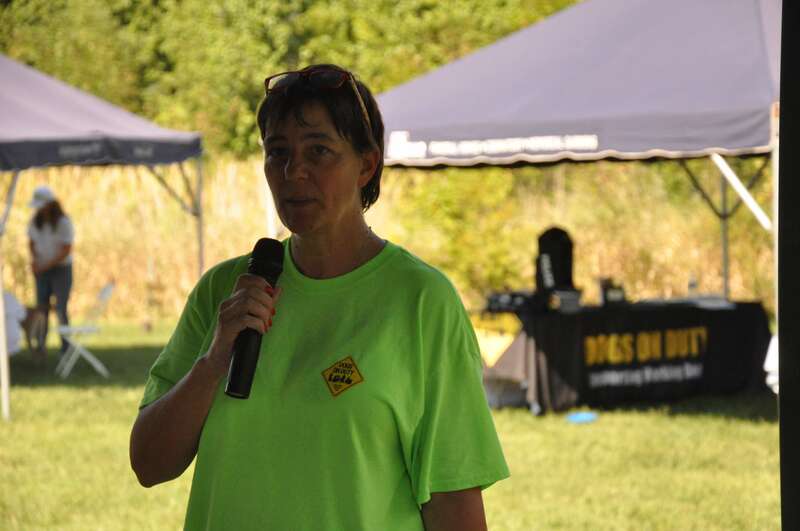 Our Baue Team Members got together and donated over 100 items to Five Acres Animal Shelter as well as monetary donations of $281 to Five Acres and $470 to Dogs On Duty. 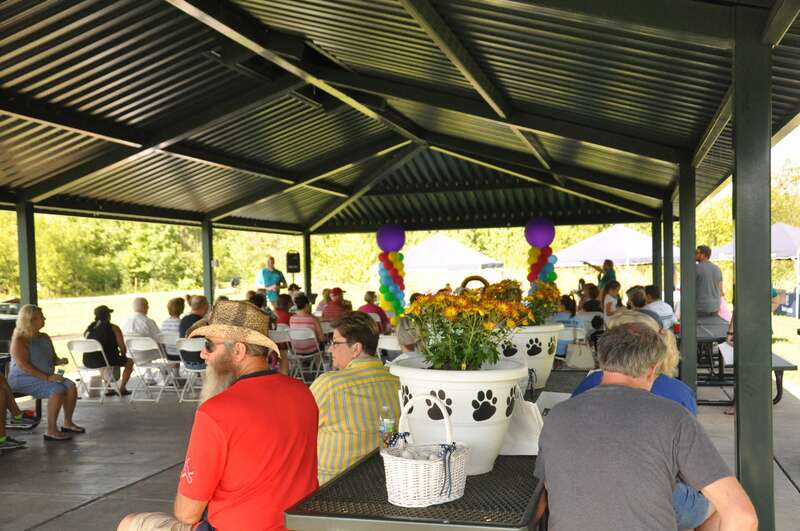 A Compassion Certificate was given to Missouri Lost and Found Paws during the event. 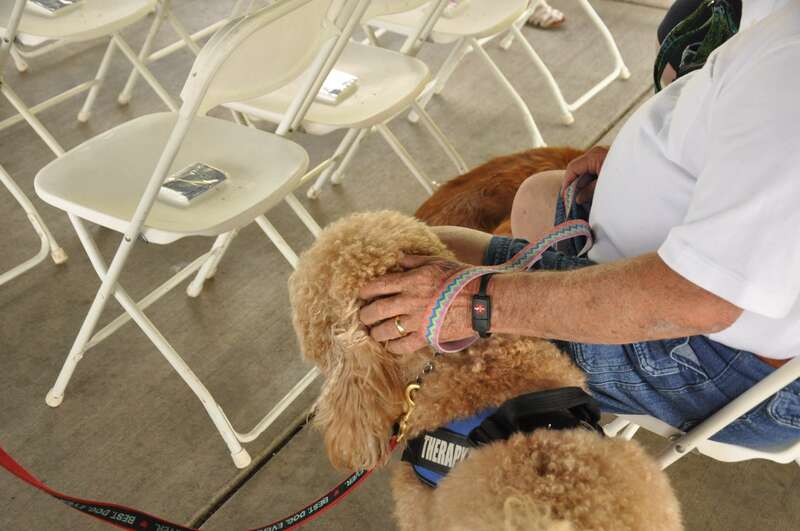 Thank you to everyone who joined us for this special honoring remembrance program. 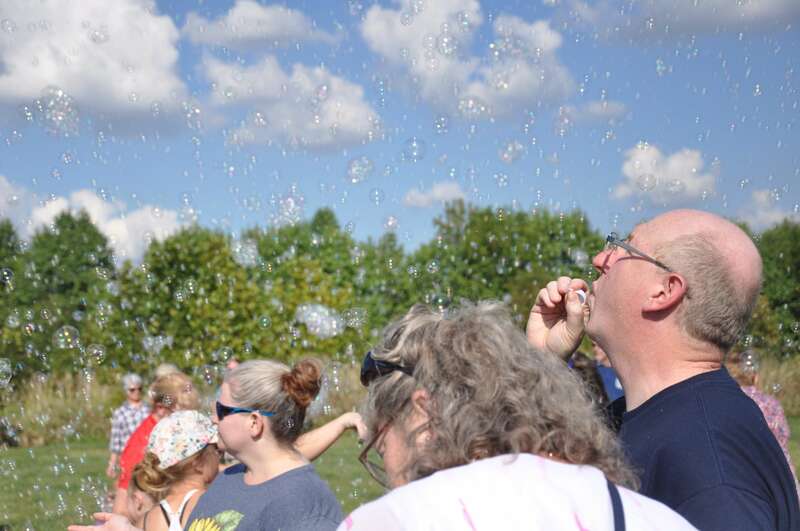 Photos from the program are below. 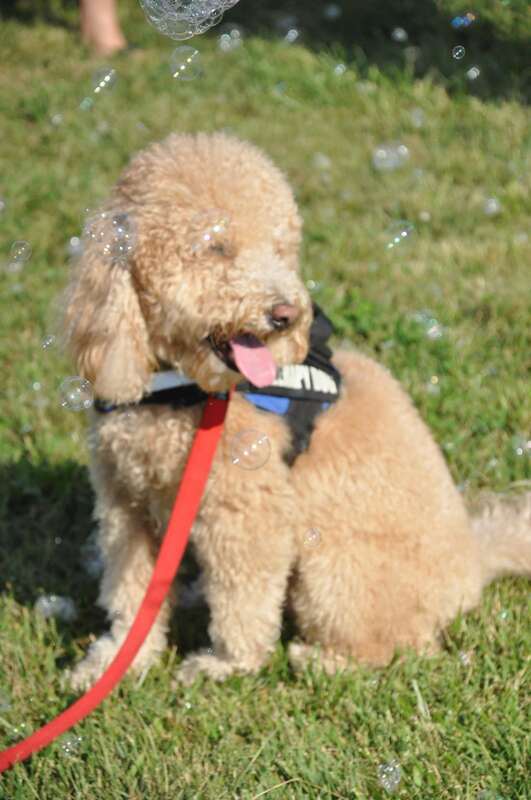 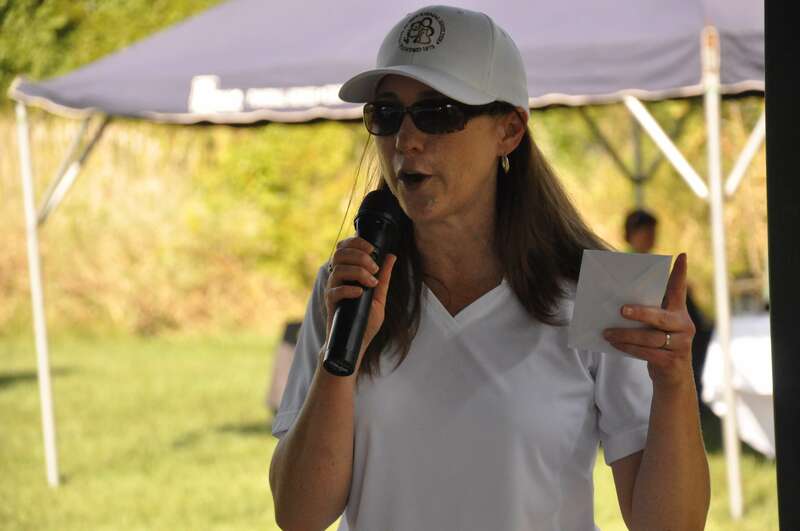 To learn more about Baue Pet Services, click here. 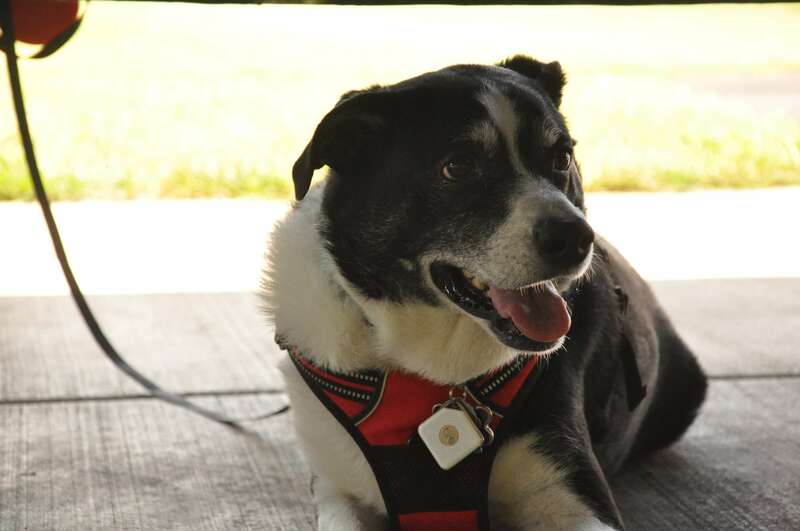 To learn more and to register for our Pet Loss Support Group, click here.